2 Bedroom Detached Bungalow For Sale in South Brent for Asking Price £65,000. This exclusive luxury lodge has an open plan lounge and dining area with a kitchen, two double bedrooms and two bathrooms. 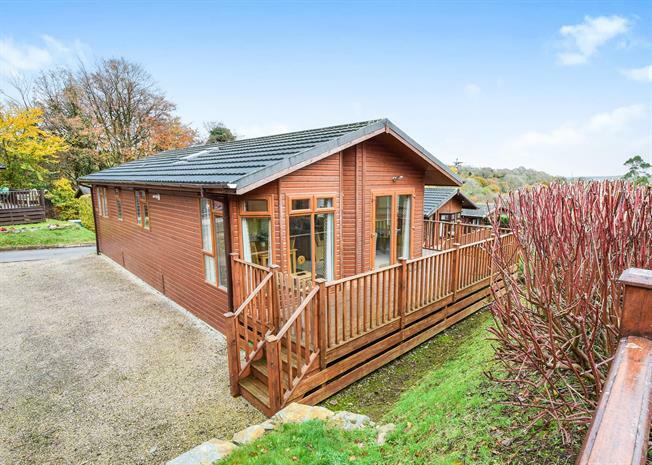 Edeswell Valley consist of luxury lodges with amenities including indoor heated swimming pool and changing rooms. Usage can be for 12 months of year, friends and family are welcome to stay in the lodge during this time. UPVC French double glazed door, opening onto decking. Double glazed uPVC bay window. Radiator, carpeted flooring, built-in storage cupboard and boiler, ceiling light. Standard WC, corner shower, pedestal sink. Standard WC, panelled bath with mixer tap, pedestal sink with mixer tap.